Discoveries of new planets have not ceased since they began anew in the early 2000s. Whether it is the new "failed star" rogue planet, "Planet Nine" or Niku, people wonder if each of these planets are the long-rumored Planet X or even Wormwood of Revelation. If that's you, it's time to learn the important distinction between these objects and why no previously sighted object is the threat to earth known as Wormwood. Rogue Planet? Planet X? Planet Nine? Remember back when we had nine planets and that was that? There was speculation about another planet beyond Pluto, but for many decades it went unconfirmed. Now, ever since the early 2000's, we have discovered one planet after another, to the point of making Pluto not look like it deserves a place in the pantheon of planets. 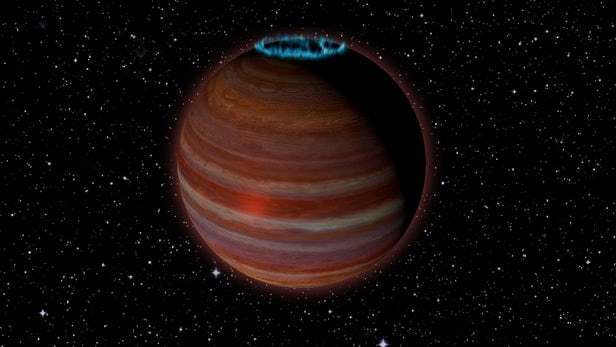 SIMP J01365663+0933473 is interesting in how it has a strong magnetic field that causes it to have and aurora halo (see artists rendering above). It was originally considered a failed brown dwarf star. But now it's being considered more of a very large planet because it is just the threshold of 13 times the size of Jupiter to trigger deuterium fusion at its core. While most don't pay much attention to these new planets, those who have heard about Planet X and the mysterious Wormwood object in the Book of Revelation take note. They wonder whether this new object could be the one that Bible prophecy predicts will bring "the end of the world as we know it" (TEOWAWKI)? Wormwood, also mistakenly known by many as Planet X. You see, Planet X as a term has evolved over time. This makes for some confusion when studying the subject. The most common use of Planet X now is as an internet doomsday theory based on pseudo-science and ancient histories. The claim is that there is a large planet on it's way to devastate the earth, that perhaps the ancients (or aliens) have seen when it visited before. But the name Planet X first came from real astronomers. They coined the term for an unknown (hence, the X) tenth planet (X also being the Roman numeral for ten) they believed to be out there. They postulated its existence based on irregularities in the orbits of Uranus (the eighth planet) and Pluto (previously the ninth planet, now a dwarf planet). Later with better instrumentation, they realized these measurements were in error. There was no proof of a Planet X after all. With no reputable science behind it, the myth of Planet X was infused with mythology and new age pseudo-science. This includes Zecharia Sitchin's work explaining the Sumerian version of Planet X called Nibiru, or the 12th planet (when you count the Sun and Moon and of course the now dwarf planet, Pluto) and the Zeta Reticuli alien communications transmitted by Nancy Leider of the ZetaTalk cult. Now things have changed again with a highly reputable astronomer, known for major discoveries, says there is a Planet X after all. But, of course, he's not talking about the doomsday Planet X. Apart from the gravity it seems to be exerting on other far flung bodies at the edge of the solar system, this Planet X is harmless. Whenever a new body is discovered, whether it was Eris, Sedna or now this possible ninth planet, people who are aware of the doomsday Planet X wonder "Is this it?" There are several reasons to put your mind at ease. First of all, all of these objects have orbits that circle the sun far outside the inner solar system where the earth orbits. In other words, their orbits would never take the objects near earth anyway. It would take some new interaction such as another object colliding or passing by to change their orbit significantly. The chances of that are extremely remote. Second of all, even if one of these Planet Xs was on an orbit that intersected earth's orbit, there is still the very huge distance problem. All of these objects are extremely far away, which is why they are just being discovered now in the 21st century and not the 20th century like the eight other planets. It would take thousands of years for any of them to reach earth. For example, the new ninth planet is on a 15,000 year orbit around the sun. That means around 7,500 years to reach earth if it could, which it can't. Thirdly of course an object reaching earth's orbital area is not enough. Lots of objects already do that. To be a threat, the object has to intersect a point on earth's orbit when the earth is there. The odds are stacked against an object not already on a collision course with earth to suddenly find itself on one. By the way, this is why the Planet X doomsday theory is also nothing to fear. The concept that a far away object has devastated the earth before (some 3600 years ago supposedly) would do so again ignores the realities of orbital mechanics. It's not like the planets run on train tracks! Their orbits are dynamic, subject to the perturbations by any bodies they pass near, including earth. A body passing the earth close enough to damage it (as is the claim about Planet X doomsday theory) would also change course as a result of that near flyby. Earth's gravity would send it in a new direction, on a new path. It would not stay on the same orbit that let it to intercept earth before. You cannot reasonably expect a body to devastate the earth and then go on to cover great distances and return and devastate earth a second time. It's against all odds. How Can Wormwood Hit Us Then? What about Wormwood? How does it manage to hit us then? Prophecy does not say Wormwood came before. This is key for the reason explained above. Prophecy does not say Wormwood is on some crazy long period orbit that put it further out from the Sun and decrease its chances of coming near earth. Think of it this way: Scientists have been warning for decades about the threat to earth from Near Earth Objects (NEOs). Some of these objects are big enough to bring an extinction level event like happened before and wiped out the dinosaurs (but not man, who was concurrent with dinosaurs, hence all the "dragon" legends). Consequently, they have begun a program to survey the skies to identify and then track any objects large enough to pose a threat to life. Wormwood is the object out there that realizes their fears, yet somehow they do not catch it in time. Except instead of it being a smallish mountain-sized rock that hits us directly, Wormwood is a dwarf planet (smaller than earth) that flies by the earth, close enough to read its license plate, so to speak. At this proximity, its gravity becomes a major factor. It causes a unprecedented great global earthquake (Rev 6:12). so fierce that it "moves every mountain and island out of place" (Rev 6:14). At the same time, earth's superior gravity is able to rip smaller Wormwood apart, causing it to, at least partially, disintegrate. Just like in the movie Deep Impact, the threats multiply when a NEO breaks up into pieces. The same happens here in reality. Revelation describes a resulting shotgun blast of shooting stars (Rev 6:13), meteorites (Rev 8:7), and asteroids (Rev 8:8) raining down on the earth. 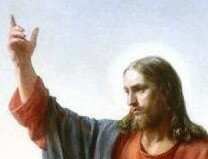 They light up the sky as they fall from heaven to cause destruction below (Rev 8:10-11). Contrary to what many scientists used to say about Planet X that if it was out there we would have discovered it by now, we really do have gaps in our knowledge and blind spots in what we can see. We keep discovering new objects, but what about the ones we have not seen yet? Michael Brown argues that statistically speaking it stands to reason that there are many more out there to be discovered. The threat from these undetected objects in space is clearly real. Worse, of all the threats to humanity that are talked about (climate change, pandemics, artificial intelligence, super-volcano, etc. ), the only one Bible prophecy talks about is the star/planet that sneaks up an unprepared global population (Rev 6:15-17). Thankfully it also tells us how we will escape. See my book or my previous article on how we escape through faith. For how the Wormwood dwarf planet can sneak up on us even with NASA and amateur astronomers watching, read the thrilling insight Katrina and I received on this together. Somewhere Tim says Revelation 6:15-17, where the inhabitants of the earth are “16 calling to the mountains and rocks, “Fall on us and hide us from the face of him who is seated on the throne, and from the wrath of the Lamb, 17 for the great day of their wrath has come, and who can stand?” refers to them thinking Wormwood is or confusing it with the actual return of the Lord. Of course they are several years off, but guess who does show up? Mr. AC does and it looks like he is able take advantage of the expectation that the Lamb was about to return, (turning to disappointment for many?) to thus more easily sell himself as “God” to be worshipped. Maybe Tim also made this point and it is about time for me to read KTF again, although I do like the bite-sized articles like this one! Thomas, you left out God! They say protect us from GOD (on the throne) and the lamb. The AC does not come as merely God’s servant, Christ, but as God himself (2Th 2:4). I see you covered this clearly as Myth #5 about the AC! But honest, I didn’t leave out God, its the ESV I copy/pasted! I see you use HCSB at lot for your quotes, but the verse links I checked in a few places on an article of yours on my iPad take me to an ESV on Biblia.com by Faithlife… I usually don’t pay much attention to versions, not that I can distinguish them much, unless I am looking for a better expression for something I want to point out. The few I checked on agree in Rev 6:17 about the “their” in “for the great day of their wrath has come, and who can stand?” clearly pointing to a plurality of God our Father and Yeshua the Lamb, our Savior, reinforcing that it is God the Father on the throne in this case, not the Lamb (right? ).